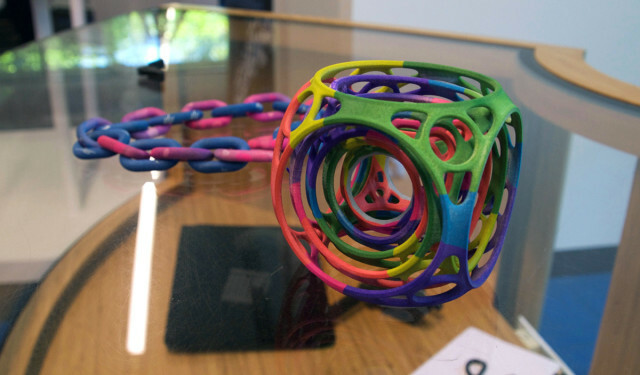 3D printing has been in existence for the past 30 years, slowly evolving bit by bit until, in about 2009 or so, the commercial release of low-cost, open-source 3D printers renewed public interest in this exciting technology. 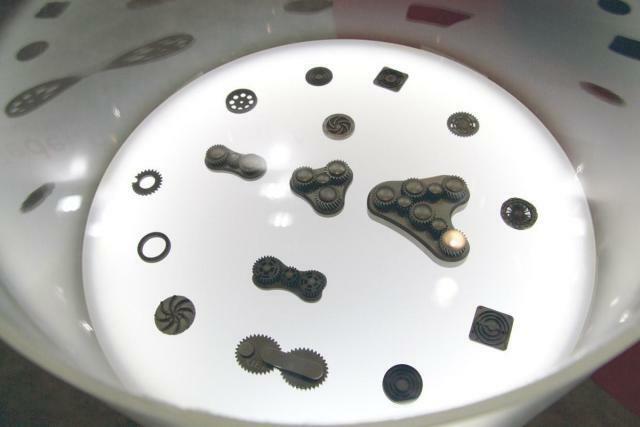 As a result, not only did these entry-level machines receive a great deal of media hype, but industrial additive manufacturing (AM) technology had its own boon. Not only have existing industrial AM machine manufacturers pushed their technologies to the extreme, but a series of start-ups have emerged with potentially revolutionary processes for 3D printing with new materials at new speeds in completely unthought-of ways. Here ENGINEERING.com gives a rundown of just six of the most exciting technologies that have emerged in 2015 and 2016. 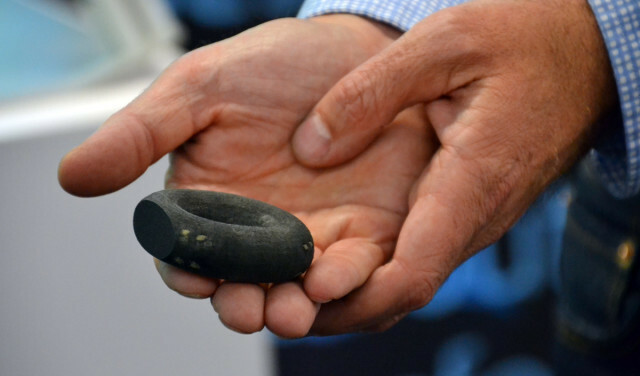 While there have been quite a few new 3D printing processes that have appeared in the industry over the past two years, Carbon's Continuous Liquid Interface Production (CLIP) process may be the paragon of next-gen 3D printing. Revealed during a TED Talk by the company's CEO in 2015, CLIP demonstrated the ability to overcome one of 3D printing's greatest drawbacks to date: speed. Through the use of an oxygen-permeable window between the company's custom LED engine and its resin vat, Carbon is able to 3D print complete objects in less than 10 minutes. Parts are “grown,” as Carbon likes to say, out of the resin vat with no discernable layer lines associated with other 3D printing processes. Over the course of its existence, the Silicon Valley start-up received $222 million in funding, including a recent $81 million from GE. The reason behind these investments: the ability to 3D print end parts almost instantly. Through a two-step photocuring process, parts made with CLIP are able to demonstrate mechanical characteristics on par with injection molded goods. The layerless nature of the CLIP process results in isometric strength throughout the part—that is, strength that is equal in all directions. The second curing step enables the activation of further properties, such as greater rigidity or flexibility. At the moment, a number of big companies are using CLIP to prototype parts and even produce some end parts. Johnson & Johnson has not yet disclosed exactly how the technology is being utilized, but has hinted that custom medical devices are in the mix. BMW relied on Carbon's process for 3D printing custom nameplates for MINI Coopers and prototype parts for other vehicles. Ford and Delphi Automotive are leveraging CLIP for prototypes, as well. At RAPID 2016, an Israeli company named XJet showcased its NanoParticle Jetting (NPJ) technology for the first time in public. The process is amazing. NPJ first deposits nanoparticle metal ink from piezoelectric printheads onto a substrate. The hot temperature of the heated build chamber causes the liquid agent to evaporate, leaving the metal particles to bind together. Once complete, the print is placed into an oven for further sintering into a fully dense metal part. What's so exciting about this process is that it can achieve an unprecedented layer resolution of 1 micron. Even more, it does this with a specialty support material that is completely burned out during the sintering process. What this means is that parts can be printed with very complex geometries that are impossible with other metal 3D printing techniques. Typically in other metal 3D printing processes, such as directed energy deposition or selective laser melting, support structures that are necessary for design features like overhangs are printed and subsequently cut off with a CNC machine. With NPJ, however, there is no additional post-processing required, aside from the sintering. In turn, it's possible to 3D print moving, metal parts, such as interlocking gears, in a single build. The technology is also a flexible one, as XJet recently demonstrated at formnext in November, the ability to 3D print ceramic parts with the same technology. 2016 will also be remembered in 3D printing history books as the year that HP officially entered the industry with its Multi Jet Fusion (MJF) technology. With MJF, a binding agent and detailing agent are deposited onto a layer of powder, which is then fused together with a set of infrared lamps. As the first printers are sent out to customers at the end of 2016, the process can produce nylon parts 10 times faster than selective laser sintering (SLS) machines. The use of a powder bed enables the ability to print the same geometric complexity as possible with SLS, but with stronger results. This, however, is just the beginning. HP is already demonstrating some of the fascinating future possibilities of MJF that will be made available to the public with subsequent releases. By introducing additional inks to the process, it will be possible to 3D print in full color, something not possible with SLS, and even functional materials. 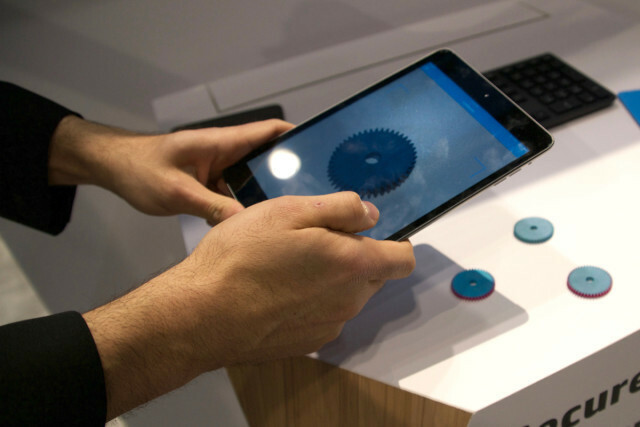 At RAPID 2016, HP showcased the ability to 3D print parts with embedded circuits. By 3D printing conductive ink during the MJF process, it’s possible to produce fully functional stress sensors in one print. Other proofsofconcept demonstrated by the HP team include dense, detailed ceramics; 3D-printed color parts with built-in, but barely visible AR codes; and parts with invisible quantum dots for printing UV-readable symbols. Carbon fiber 3D printing is beginning to boom, though there is only one company on the market currently offering continuous carbon fiber reinforcement. 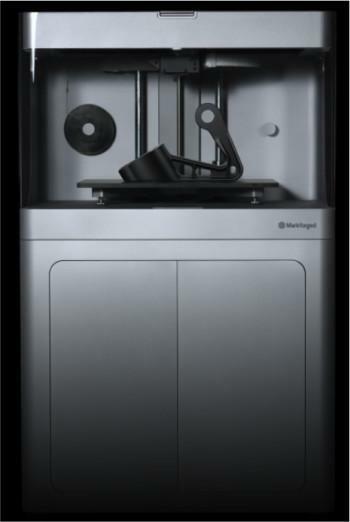 Markforged kicked off the trend in 2014 with its continuous filament fabrication (CFF) technology. CFF is capable of laying continuous carbon fiber within a thermoplastic print, allowing for strong, light parts impossible with other processes. Markforged will soon face a great deal of competition, both from industry leaders and start-ups. One industry surprise in 2016 came from EnvisionTEC, known previously for its photopolymer 3D printers and bioprinters. 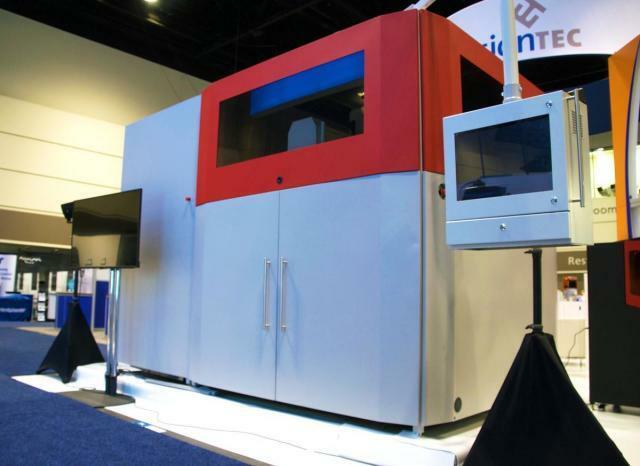 At RAPID this year, the company unveiled a massive machine capable of 3D printing with fiber reinforcement. The process, dubbed selective lamination composite object manufacturing (SLCOM), uses rolls of woven reinforcement material, such as carbon fiber or fiberglass, pre-impregnated with thermoplastic, like polyetherketoneketone or nylon, as a feedstock. This material is fed into a printbed before a heated roller presses the layers of material together, melting the thermoplastic matrix of the layers together. An inkjet head simultaneously deposits a wax and a binding agent. Next, a carbon blade outfitted with an ultrasonic emitter cuts away the wax material. Once the print is complete, massive swinging doors to the printbed are opened and the part is removed. The excess material is stripped away, leaving the printed object. The SLCOM 1 is the first machine capable of 3D printing with SLCOM technology and is able to print huge parts of up to 24 in x 30 in x 24 in (610 mm x 762 mm x 610 mm) in size and up to 500 lb (226.8 kg). The machine is scheduled to be released in Q4 2016 with a price tag of around $1 million. An emerging start-up known as Impossible Objects has its own method for 3D printing carbon fiber and other reinforcement materials. The firm's composite-based additive manufacturing technology deposits a liquid onto sheets of reinforcement material, such as carbon fiber, which is then flooded with thermoplastic powder that only sticks to the deposited liquid. The powder is then blown or vacuumed off, with the thermoplastic adhering only to areas that represent individual object layers. This is repeated with multiple sheets of reinforcement material representing each layer of the printed object. Once completed, the sheets are stacked, compressed and put into an oven to fuse the thermoplastic together. The excess material is removed with a chemical bath or sand blasting, leaving only the printed object. Stratasys, too, has a carbon fiber 3D printer in the works. Developed with Siemens, the 3D Robotic Composite Demonstrator uses a 6-axis robotic arm to 3D print carbon fiber-plastic composite onto a 2-axis rotary table. This 8-axis motion makes it possible to 3D print from just about any angle, allowing for isometric parts. Why all of this interest in carbon fiber? The material can be lighter but just as strong as metal equivalents, like titanium; however, the only ways to introduce carbon fiber reinforcement to objects today are laborintensive and costly. 3D printing with carbon fiber may make it possible to automatically produce custom, one-off or small batch parts at a fraction of the cost of current methods. Large-scale hybrid 3D printers are also on the rise. After machine maker Cincinnati Inc. and Oak Ridge National Laboratory (ORNL) partnered to create the Big Area Additive Manufacturing (BAAM) 3D printer, numerous CNC producers have jumped into the market with their own take on large-scale extrusion 3D printing. In fact, ORNL is involved with some of these companies, as well. While the BAAM does not have a built-in CNC router for fine-tuning thermoplastic-carbon fiber composite prints, ORNL's next machine will. 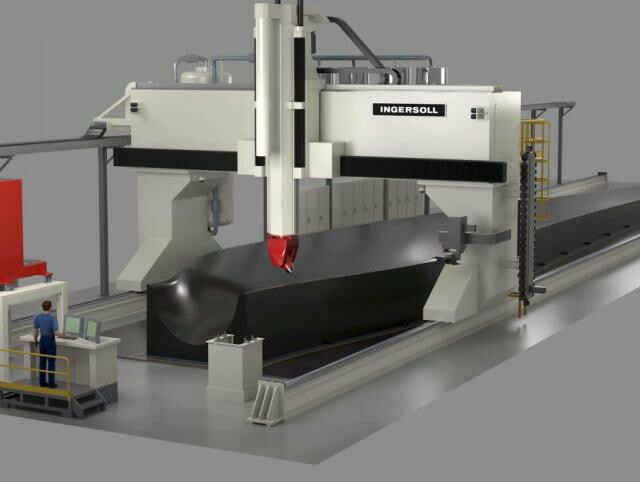 Developed with Ingersoll Machine Tools, the Wide and High Additive Manufacturing (WHAM) will have the ability to 3D print objects as large as 23 ft wide by 10 ft high by 46 ft long. In the process, the WHAM will be able to switch tool heads with a CNC router for cutting away plastic or even a carbon fiber layup tool for laying carbon fiber reinforcement. CNC manufacturer Thermwood Corporation is developing its own take on giant hybrid manufacturing with the Large Scale Additive Manufacturing (LSAM) system. The LSAM features a high power extruder that 3D prints onto a stationary substrate while a second CNC gantry trims the printed object to its final shape. The LSAM can print objects 10 feet wide and 10 feet tall, but the bed can be extended up to 100 feet or more. Key to all of these platforms is the high-powered extruders capable of fast deposition rates necessary for 3D printing large objects. The holy grail of 3D printing is the ability to fabricate fully functional objects in one build, including complex electronics. There are only a few machines on the market capable of doing this at the moment, including the Voxel8 Developer's Kit and the DragonFly 2020 from Nano Dimension. While the Voxel8 system is capable of 3D printing plastic with conductive traces, the DragonFly 2020 is primarily designed for making printed circuit boards (PCBs). Voxel8's technology uses a pneumatic printhead to deposit conductive inks while a plastic extruder prints plastic filament onto a substrate. The system can be paused at any time to manually insert such components as transistors or microchips. The DragonFly 2020, in contrast, uses an inkjet process, jetting conductive materials, like silver nanoparticles, and a specialty photopolymer layer-by-layer until the PCB is complete. Once printed, auxiliary electronics, like transistors and resistors, are added so that the user can test out the finished PCB prototype. Due to the flexibility of the inkjet platform, Nano Dimension has begun testing out unique materials with the DragonFly system, including copper inks and even stem cells. Most recently, the firm 3D printed conductive traces onto a treated fabric with a European functional textiles firm. All of these companies demonstrate that, as exciting as the 3D printing industry is, it is only going to get more fascinating from here. All of these technologies are still in their early stages and, as they evolve, they will make 3D printing, in the words of Daft Punk, better, faster and stronger.